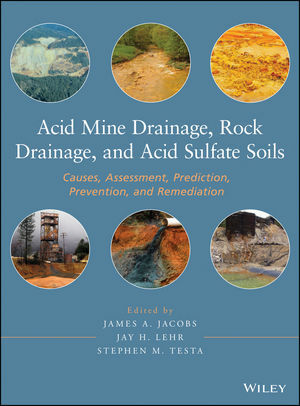 JAMES A. JACOBS is Chief Hydrogeologist of Clearwater Group in Point Richmond, California. He is a Fulbright Senior Scholar, having won four awards between 2003 and 2012. He is coauthor of three other environmental books and has served as an expert witness in a variety of resource and environmental contamination cases. He is an instructor for the University of California, Berkeley Extension Program, teaching a class on sustainable remediation methods for soil and water. JAY H. LEHR received a degree in geological engineering from Princeton and a PhD in groundwater hydrology from the University of Arizona. He is the coauthor of 30 books relating to environmental science and water supply. He edited the journal Groundwater for 25 years. He is currently the Science Director of the Heartland Institute, a free market think tank in Chicago, Illinois. STEPHEN M. TESTA is currently the Executive Officer of the California State Mining and Geology Board and past president of the American Geosciences Institute, American Institute of Professional Geologists, American Association of Petroleum Geologists (Energy Minerals Division), and Los Angeles Basin Geological Society. Mr. Testa was a consultant for over 30 years and served as an instructor at the University of Southern California and California State University, Fullerton.